Last December, we spent a week In Tokyo. It was a week meant for the boys to indulge in fun. As LEGO is synonymous with FUN for the boys, it was no surprise that LEGOLAND Discovery Center was on our radar during our stay in Tokyo. Legoland Discovery Center (LDC) is located at Decks Tokyo Beach located in Odaiba. When we told the wackies they are heading to LEGOLAND . They were expecting a large outdoor area filled with rides akin to LEGOLAND Malaysia. They were quite surprised when we bought them to a mall thinking it was another trick to get them to accompany their parents for shopping.Their doubts turn to relief when they spotted the entrance to LDC. You take a life up to LEGO factory to start the journey. 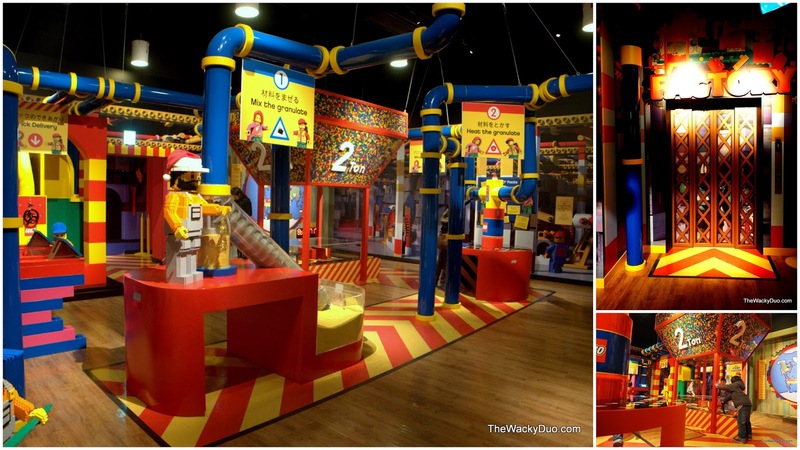 It is a smallish area showing how LEGO bricks are made. There are a few stations for the boys to try their engineering skills. The area was explored in double quick time and they are off to the next spot. There are a few rides located within the premises. The rides are considered tamer than the outdoor versions and suitable for toddlers. 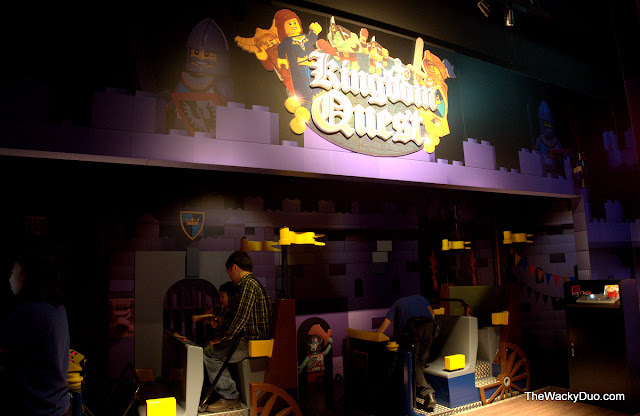 The first ride we took is Kingdom Quest Laser Ride. The ride began when we were sat in Chariots and armed with modern laser guns to zap trolls and skeletons. The quest was to save the princess. The queue was rather short and we managed to take it 2 times to save the princess once more. It was Christmas season when we were there and it is good that the place was filled with Christmas Lego Figures to add to the festive cheer. 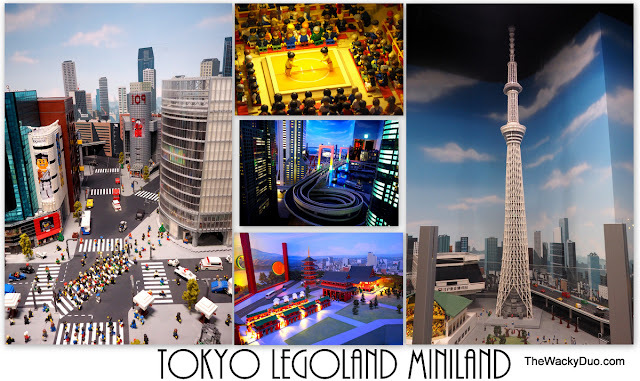 Made out of nearly 1.5 million bricks, the Miniland at LDC Tokyo is the place to be if you want to tour Tokyo in 10 minutes. There are the iconic Shibuya Crossing, Tokyo Tower, Rainbow bridge , Sensoji and even a Sumo ring. Best of all, you get to see the glamor of Tokyo when night falls in Miniland. There are lessons by the Master Builders who will share their secrets in creating awesome LEGO models. Unfortunately it was conducted in Japanese and we were kind of lost after 'Konichiwa' . 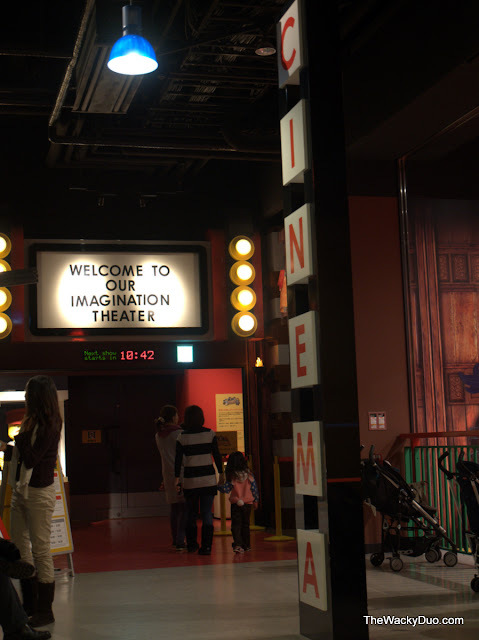 Guess we might just have to rely on THE LEGO MOVIE on how to unlock creativity. Slides and soft building bricks make this the hottest spot for children in LDC. 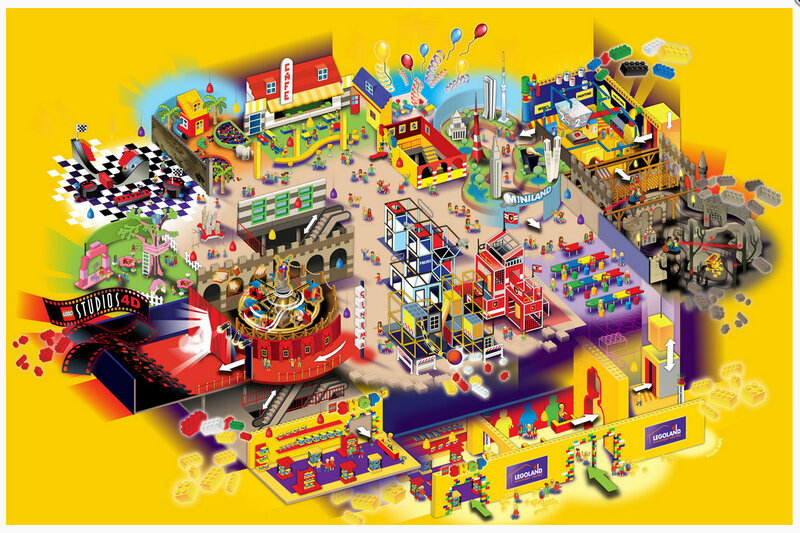 For the younger ones, head to Duplo Village for their own Lego paradise. This space is best for age 3 and below. It comes with a brick pond, a soft bricks area and a slide. 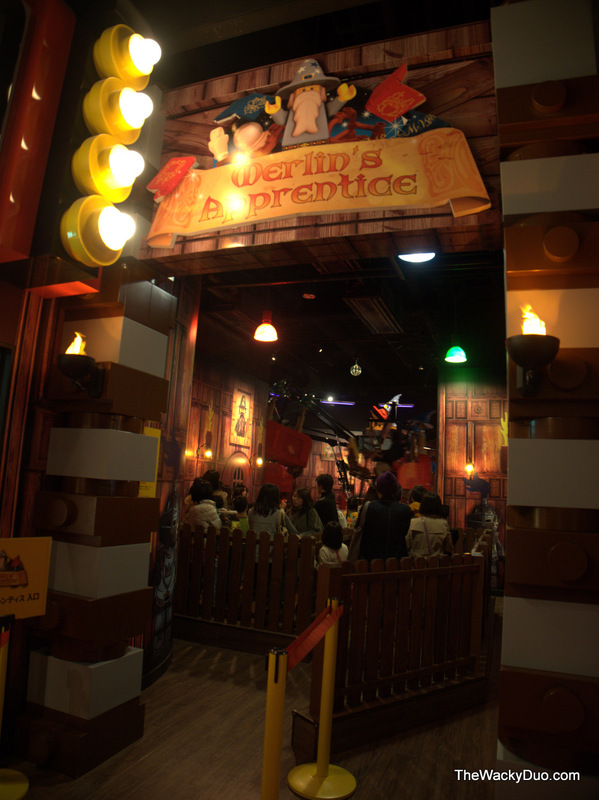 If you are like the Wackies, who are mini adrenaline junkies, you might want to take flight on Merlin Apprentice ride. You need to pedal to get up high, so make sure the adult accompanying you have enough energy to last the ride.A minimum height of 90cm applies, 90-120cm must ride with adults. 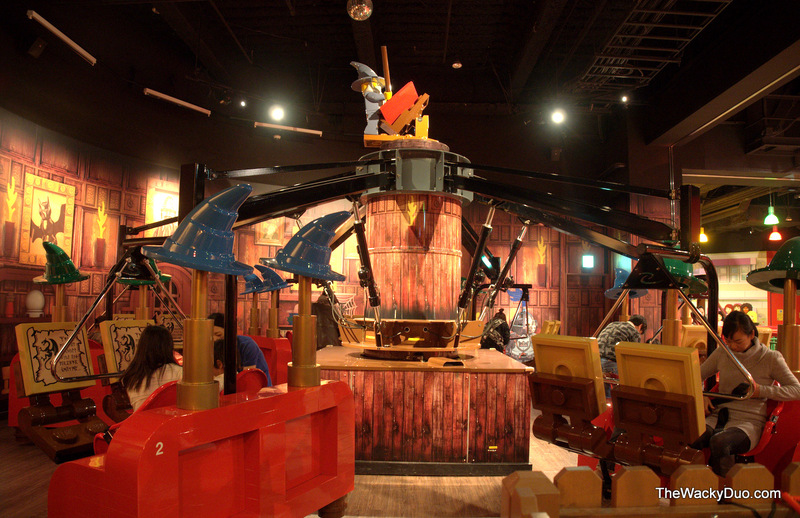 After an exhausting ride, we decided to take it easy and head down to LEGO 4D cinema to catch an episode of LEGO Legends of Chima. The shows ran throughout the day. Do note that popcorn are not available for sale for this 15 minutes show. After the show, it is time to build our own rides and race! 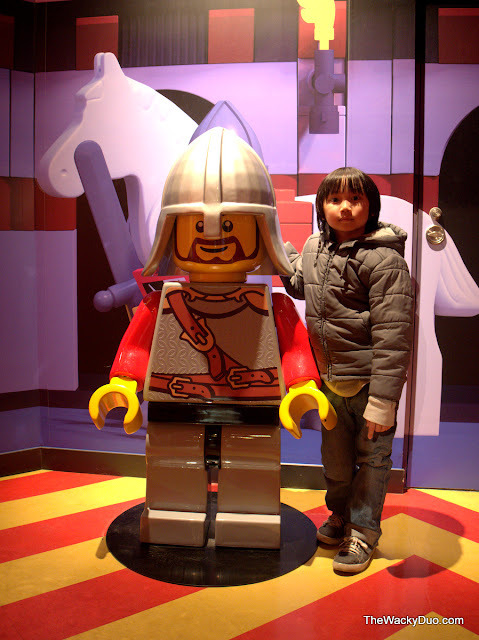 The boys did something similar in Legoland Malaysia before. Lastly the boys got to meet some new girlfriends at LEGOLAND. Relax lah, they are not allowed to date yet. However they did get to meet the LEGO Friends Stephanie, Andrea, Olivia , Mia and Emma in their new home. For the hungry ones, there is a cafe with seats for a quick bite. 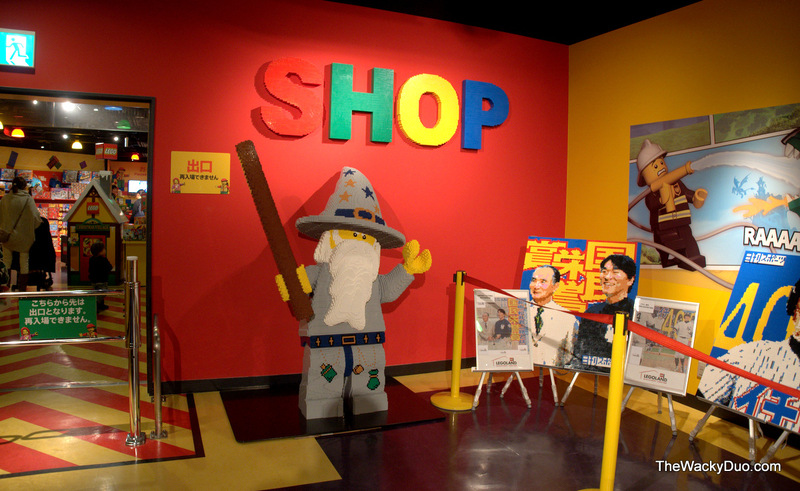 Don't forget to drop by the LEGO shop for some great buys. There are special offers each month and with the attractive SGD to JPY exchange rate at 1.21, it is a sale within a sale at LDC Tokyo. Tickets starts at JPY 2000 per pax. 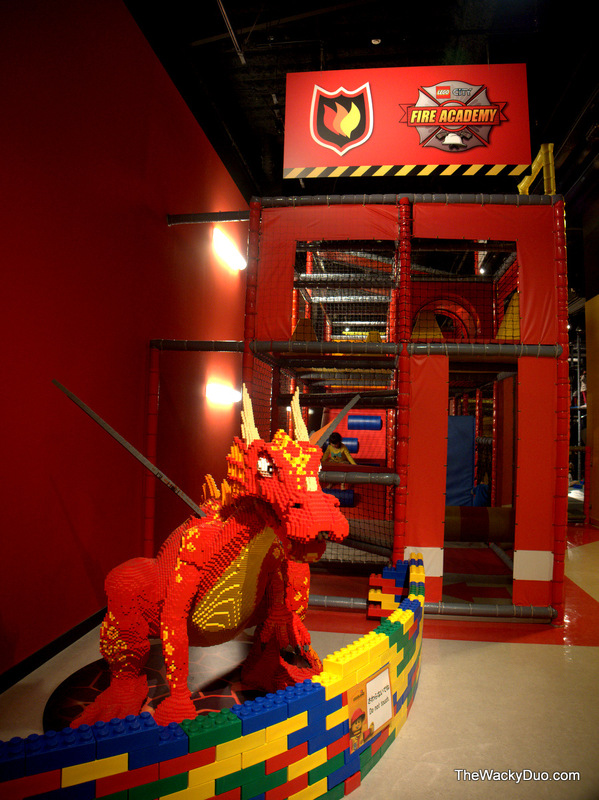 However you can get discounted rates online.Kids under 2 goes in Free!